QuietRock EZ-SNAP is the first high performance sound damping gypsum panel that easily scores and snaps, like standard gypsum panels. EZ-SNAP is a patented technology offering outstanding STC ratings with no paper or metal in the center of the panel. 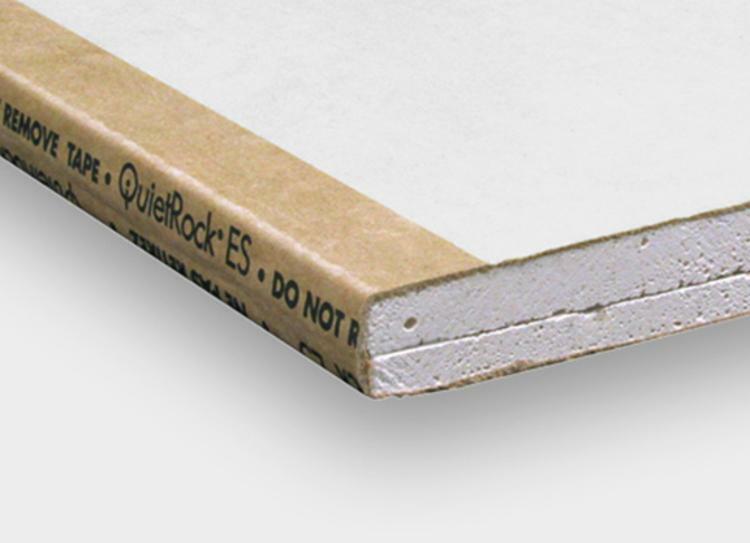 QuietRock EZ-SNAP delivers high acoustic performance with easier, faster installation than other brands. Made in the USA.